« THE DEVELOPMENT OF YACHT TOURISM – 2017. Orthodox Easter Concert – Church Music – Professional chamber choir! Saint Ephraim Georgian Male Choir celebrates their 15th birthday this year. The invitation goes out to all locals, foreigners, tourist staying in Budapest to enjoy the refreshing and enchanting realm of Byzantine music. The venue goes perfectly to the evening’s concert held at the St Stephen’s Basilica. 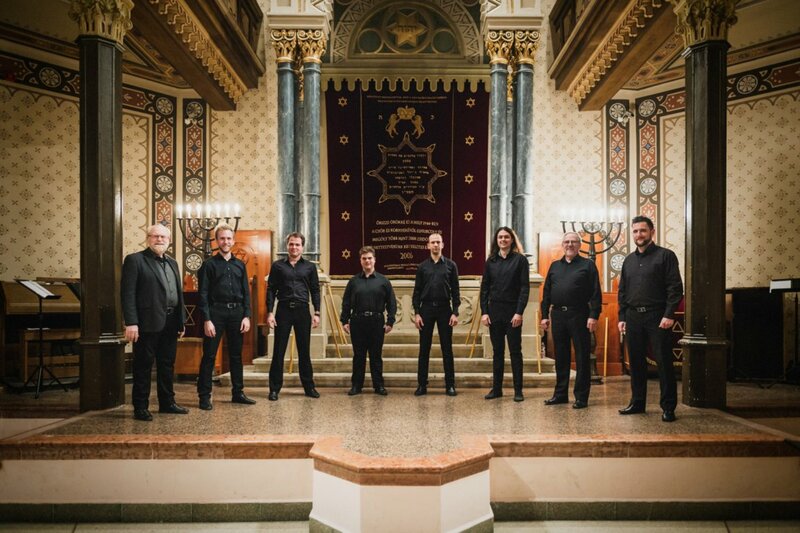 Within the framework of the sixth season of the ORIENTALE LUMEN series this coming week-end the unique Georgian male choir will fill the air at the St. Stephan Basilica. The outstanding vocal group „Iberi” … in ancient times Georgia was called Iberia … performing in Hungary for the first time. They are already on UNESCO’s list of Oral and Intangible Masterpieces of Humanity. Blokes in black coats and boots, with rows of cartridges on their chests, long knives on their belts. Not an invasion force, but singers. Gorgeously rich, shifting blocks of improvise harmony, sometimes with wild, crowing falsetto over the growling bases and soaring tenors. As Georgian culture has become more city-centred and pop-influenced its unique polyphonic singing has been seen as threatened, and apart from Easter folk songs will sing pieces of Boksay, Ljudkevics, Ligeti and Zombola. Saint Ephraim Male Choir was founded in 2002 in Georgia. Specialized in Greek, Russian and Hungarian Byzantine music. To-day, it is the most acclaimed vocal group, renowned for their quality performances. The exceptional abilities of its members enables indeed the choir to choose from a wide selection of repertoire. They have sung together with such well-known performers as the King’s Singers, Márta Sebestyén, the Budapesti Festival Orchestra and the choir of the Moscow Patriarch, furthermore in the presence of the Moroccan princess – Lalla Salma. Tickets for Adult: 3500HUF … Student/Pensioner 2500HUF. Purchase via http://www.jegymester.hu or on the spot.